The medicinal properties of chamomile are known since antiquity, with references from the father of medicine Hippocrates. The ancient Egyptians had dedicated it to the Sun God who was the healer of infectious diseases. Its name in Greek means apple of the ground and the Christians have dedicated to St. George because it flowers close to the holiday of his name. 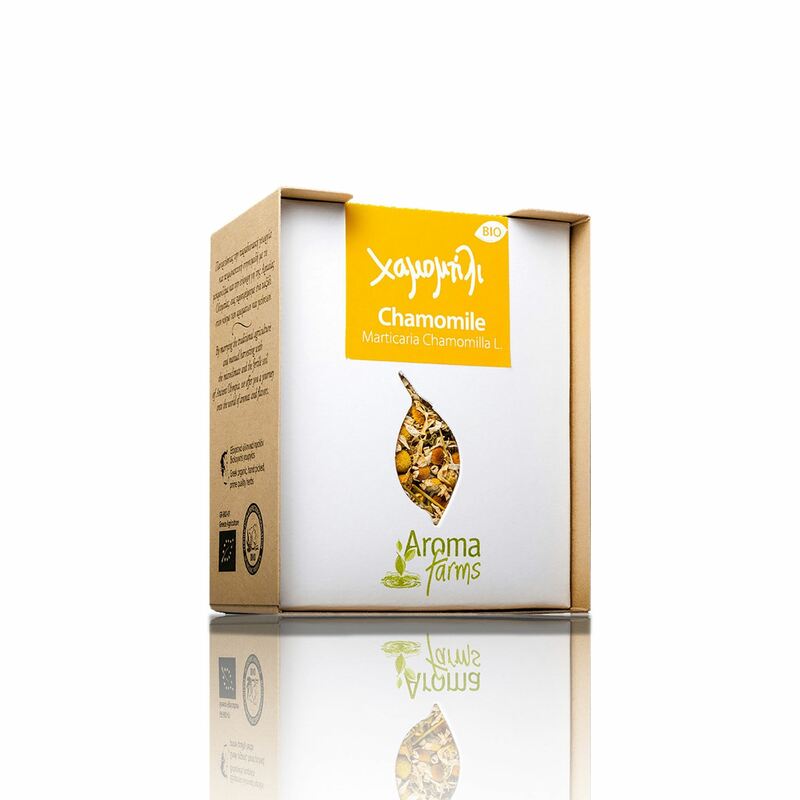 Chamomile herbal infusion is one of the better known and common infusions in the world but we can also use it in various desserts such as cookies, cupcakes, sorbets, ice creams, smoothies and creams. The infusion can be combined with anise seeds, lemon verbena, lemon balm, honey, lemon, orange zest and many others to give us a delightful beverage. Traditionally chamomile is used as a beverage against anxiety, insomnia, gastrointestinal infections, flatulence, inflammations and diarrhea. It helps in cases of gynecological problems, headaches, sniffles and boosts the immune system. If used in compresses, after we have left the infusion get cold, we can relieve skin conditions such as acne, irritations and fungal infections. Finally if we have puffy eyes we can make ice cubes out of the infusion and then place them on the closed eye lids.